A large portrait of Andrew Jackson hangs in a prominent place in the oval office occupied by Donald Trump. 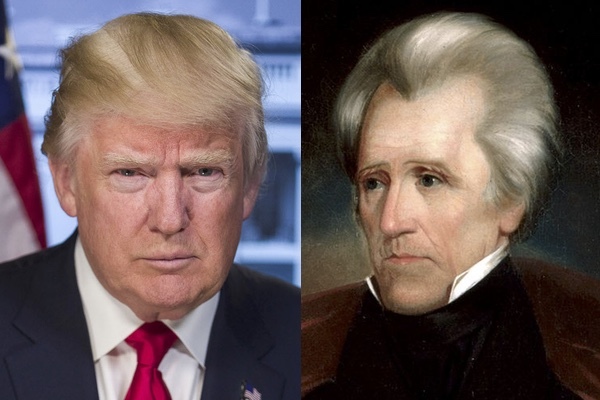 While the two men are very different in background, experience and temperament, there are some eerie parallels between the election of 1824, in which Andrew Jackson participated, and 2016, when Trump was elected president. The other view is that America is a typical nation like any other that is, in fact, made up of a group of people that share certain ethnic, racial and religious characteristics. Under this view, only certain people can be an American. The political scientist Walter Russell Mead, in his 2001 book Special Providence, has identified this view as being one of the hallmarks of Jacksonian America. “Through most of American history, the Jacksonian community was one from which many Americans were automatically and absolutely excluded: Indians, Mexicans, Asians, African-Americans … and recent immigrants of non-Protestant heritage.” The backbone of Jacksonian America can be found in the western parts of North Carolina, South Carolina and Virginia, along with West Virginia, Kentucky, Indiana, Tennessee, Missouri, Alabama, Mississippi, and Texas, as Mead has argued. Donald Trump won almost 55 percent of the vote in these states in 2016, and they contributed almost 40 percent of his electoral votes. Trump gave voice to the Jacksonian’s view of American nationhood, running one of the most divisive campaigns in recent memory, one that placed responsibility for all of the complicated problems the United States faces on Hispanics, women, Muslims, immigrants, and foreign competitors who have duped our witless leaders. Both the 1824 and the 2016 elections were conducted with an economic downturn still fresh in the minds of the people. The Panic of 1819 was the first major depression in the United States, caused initially by a drop in the price of cotton. A bubble had developed that was fueled by the extension of credit for land purchases in the south and west that was used for the production of cotton. The Bank of the United States (BUS) made matters worse. It was designed initially to rein in the state banks, which had generated too many loans without adequate reserves, thereby creating inflation and a speculative bubble in land and commodity prices. But instead, the BUS also made too many loans, and then clamped down just as commodities prices collapsed. In response to the Panic, the federal government was lobbied for help by increasing tariff protections and reducing the price for western land. The Panic of 1819 also led to an anti-bank climate not too dissimilar to those that would occur during future financial collapses. The 2008 Great Recession was triggered by excessively easy credit that banks extended to homebuyers. When housing prices began to drop, the bottom fell out of the securities markets that had underwritten the housing bubble and threatened to bring down the entire financial system. Only swift action by the federal government under both Presidents Bush and Obama saved the economy from a complete collapse. Both elections were characterized by claims that Washington DC was corrupt and that change was needed. John C. Calhoun told John Quincy Adams in 1820 that there was “a general mass of disaffection to Government … ready to seize on any event and looking out anywhere for a leader.” The actions of the BUS had caused some people to believe that the federal government was corrupt. The historian Robert V. Remini writes that “it soon appeared that many men in Washington regularly plundered the treasury as well. Those who disbursed funds or otherwise handled public money skimmed off a little something for themselves as a regular matter.” Whether this was true or not did not matter; it opened up the opportunity for an outsider like Andrew Jackson to step in and clean up “[t]he Giant Augean Stable at Washington” of corruption, as one Pennsylvania supporter put it. In 2016, Trump’s promised to “drain the swamp” of corruption in Washington and consistently charged his opponent, Hillary Clinton, with being corrupt. 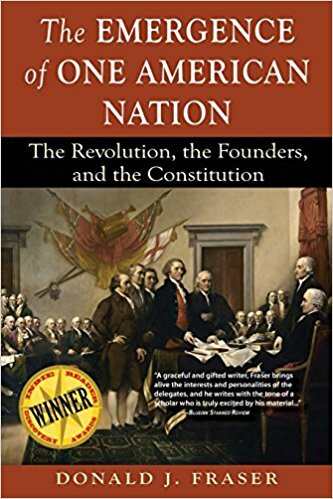 “A vote for Hillary is a vote to surrender our government to public corruption, graft, and cronyism that threatens the survival of our constitutional system itself,” Trump said in a speech in Arizona, as reported in Devil’s Bargain by Joshua Green. As with Jackson, Trump was the outsider who vowed to he could change Washington. The outcome of both elections also called into question the legitimacy of the two men that came to occupy the White House. In the 1824 election, four serious contenders vied for the presidency, ending with Andrew Jackson leading in both the popular and electoral vote, but lacking the electoral votes needed to assume the office. The election was thrown into the House of Representatives, where the second place popular vote finisher, John Quincy Adams, emerged as the winner. Henry Clay, another contender for the office and the Speaker of the House, threw his support to Adams in what has become known as the “Corrupt Bargain.” While historians generally agree that Adams promised nothing to Clay in return, when Clay was appointed Secretary of State, Jackson’s supporters viewed the outcome as illegitimate. As Jackson said at the time, “So you see, the Judas of the West [Clay] has closed the contract and will receive the thirty pieces of silver…. Was there ever witnessed such a bare faced corruption in any country before?” John Quincy Adams’s presidency was ruined before it even started. His term in office went on over four miserable years and he found that his “strength and spirits are both exhausted” and wondered “how many more” days would he need to suffer in the White House. While Trump has claimed Jackson as his role model, his administration is looking more like that of the ultimate winner in 1824. While he clearly won the presidency with a majority of the electoral votes needed, his opponent received almost 3 million more popular votes. Trump has been dogged by charges that his victory was tainted by Russian interference in the 2016 election, which helped to bring him to office. Whether he or any of his staff colluded in that effort is still unknown at this point, but seven months into his presidency, he is having as much trouble as John Quincy Adams did in pursuing an agenda.